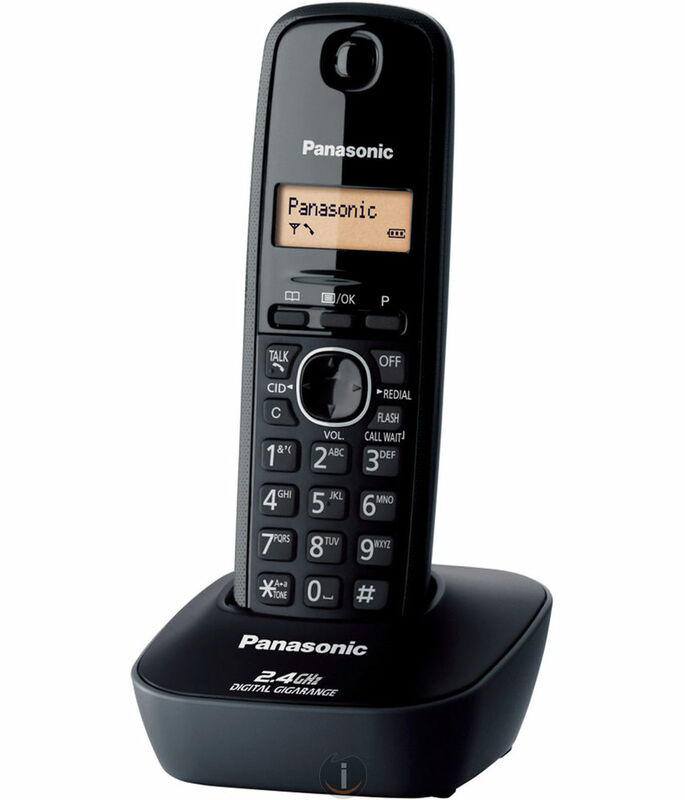 The Panasonic KX-TG-3411BX Cordless Phone is the ideal communication device for your home and office. The handset has textured finishing for matching up with the modern interiors and also to resist fingerprints smudges on it. The cordless phone has 1-line dot LCD (12-digit x 1-line dot display) with a backlight so that it is for you to view the caller’s name and number easily. The phone can store up to 5 numbers for redialing and has the total capacity of saving 50 Names & Numbers in the Caller ID memory. The keypad has smooth push buttons and you can answer the call by pressing any key. The display also has an inbuilt digital clock that records the time and duration of calls. Apart from this, the cordless phone also features Call Waiting, 14 Ringer Melodies / 6 Ringer Tones on Handset etc. the compact base unit makes it possible for you to wall mount the device. Once charged properly for 7-hours the phone gives 10-Hours Talk Time and 6-days Standby Time. View & shop the best landline phones with great deals and discounts. Just like your natural beauty needs the embellishment. Your home needs to be embellished with the well-equipped home appliances! Handy smart landline cordless phone, no loud speaker/hands free option in this model but other wise perfect, meets my needs. Satisfactory service. On time delivery and polite staff. Good product and awesome customer service. Recommend this product and company. Delivered in time. Item received in good packing. Product is as per the image and description. Its Range is very good and call quality is also excellent. Only issue is when power goes off it will not work as there is no base unit and without power cordless unit won't work. But otherwise cordless unit has a good battery and you can easily get 8 hours of talktime without charging. Nice hand set with 50 numbers phonebook. Price worthy. Could not find speed dial on this hand set. Excellent phone, great delivery and would recommend everyone to buy this phone.